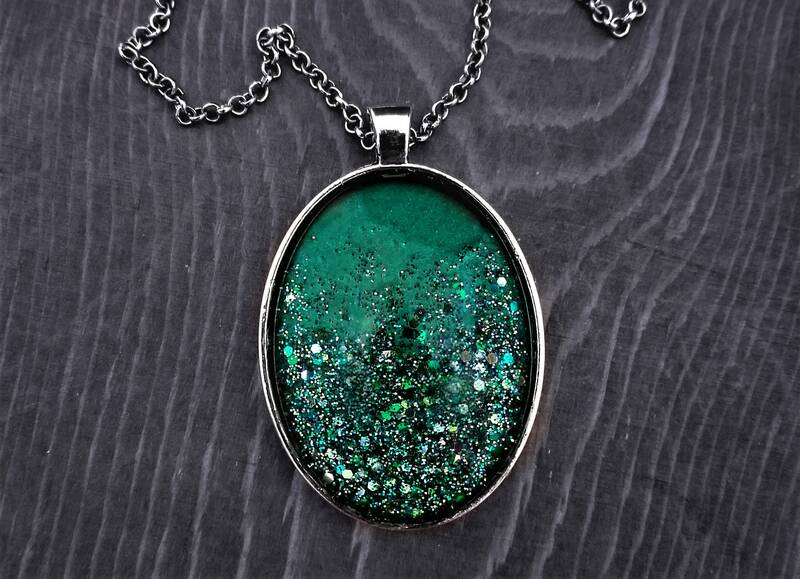 This oval glass pendant is all about the sparkle. 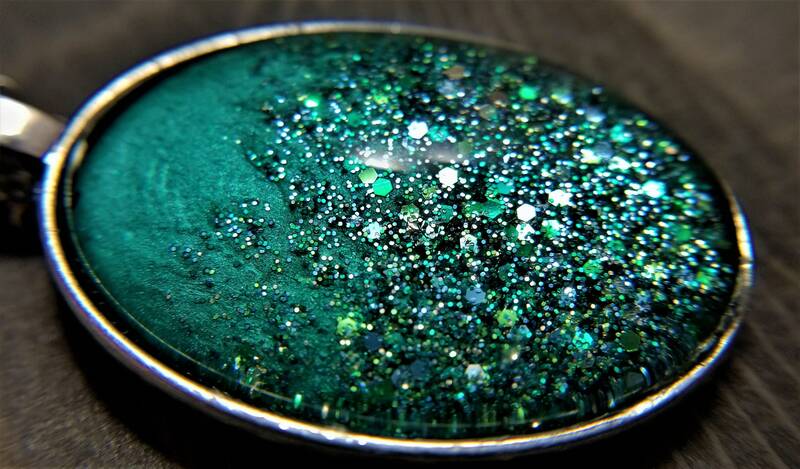 It starts with green glitter at the bottom and slowly fades into an opaque, shimmery green color at the top. Sparkles amazingly in the light! 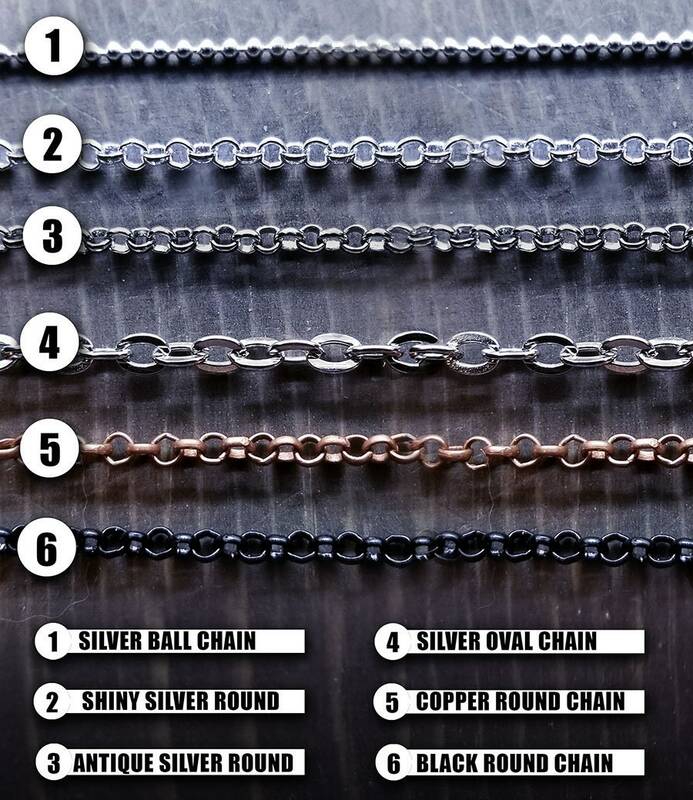 The pendant is 1.2" x 1.5"
The chain is available in shiny silver, antique silver (shown in picture) & black rolo circle chain, antique silver oval chain or shiny silver ball chain. 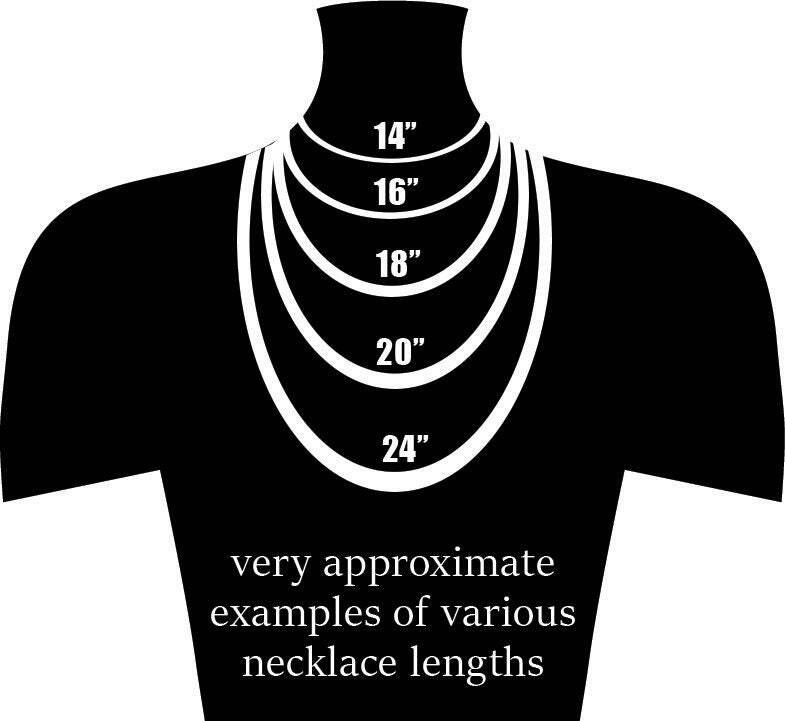 Select your own length at check-out, from 14 to 24 inches, or get it as a keychain.